Lalong LG Mgt Committee: Here is the real deal!! Lets reason together my people, why would a lawyer Gov act averse to elementary legal norms? Why would two professor of political science (Deputy Governor and DG Research) be in sic with this detestable decision of Mgt Comm for LG? I did an out of the box reflection putting into context the N30m approval for DG Research to go abroad and come up with a winning blue print for the APC. Now reason with me, if this selection process was for the APC, why were the main stream APC all across Plateau crying foul having participated and won in the intra party selection? Why did Lalong and his Plateau Cabal (As referred to by Bros Chum Bagu) deliberately favored the ‘journey just come’ PDP who expectedly lost woefully? Clearly, every sane person knows that scuttling internal democracy within the APC in favor of decadent PDP can never be a winning formula for the APC. What if the DG Research N30m assignment was not to carve a winning formula for the APC? What if it is to get a winning formula for only Gov Lalong? Aha! That should be it! 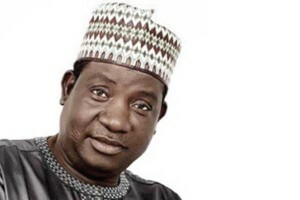 Lalong had worked out a perfect plan to take absolute control of the APC party by thinking and acting futuristic. It is no longer news that the APC has woken from their totalitarian manipulation of the political space with the Makarfi PDP victory at supream court. Hence APC had opted to democratize their party starting with the holding of its long set aside elective congresses and convention. This Lalong LG Mgt Committee is a perfect strategy to outwit the Dalung/Nakande and the Tallen’s. Ask yourself the fundamentals’, before now who were the Lalong Boyz? Hello! The stage managed selection has now unveiled that the now LG Mgt Committee are the very potent LALONG BOYZ that will evidently manipulate the elective APC congresses in all the wards and LGs for Gov Lalong! Lalong now have structure in every STATE WARD in preparation for the soon to be held APC congresses at ward, LG levels to the chagrin of other contenders in the APC. These LG Mgt Committees would coordinate and return party loyalist of Lalong across board. The big picture is that come APC primaries for party candidates, Lalong will sail home to victory and in control of all the tickets of the APC for all House of assembly and National assembly positions by determining the faith of all else. The DG Research N30m South African retreat formula had worked perfectly and it does explain the use PDP denigrate and losers who had nowhere else to go thereby guarantee 100% loyalty to Lalong alone. PDP and other party’s faithful are just victims of an internal war for party control within the APC. Dictators are not in the business of allowing elections that could remove them from their thrones.